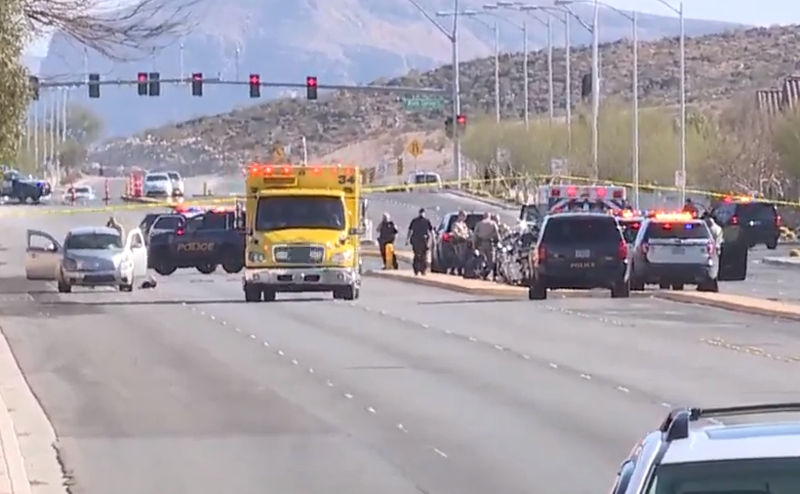 UPDATE 6 P.M. MARCH 26 : Clark County told 13 Action News after Monday’s fatal crash it would be conducting a study along Fort Apache Road near Maule Avenue to see if a crosswalk or other changes should be implemented in that area. “All of the children were standing, and they saw the EMT trying to resuscitate the boy,” said Lexi Flournoy, mother of victims' classmate. Flournoy also said the county’s investigation into changing the intersection is long overdue. “We’ve definitely been complaining to the school district and the police department," Flournoy said. And one of her biggest complaints is speeding. “These people are flying at 70 mph, 65 mph... it’s just reckless endangerment,” she said. It’s still unclear if the 22-year-old driver was over the posted 35 mph speed limit at the time of the crash, but residents remain frustrated as the crash the happened across the street from a popular after-school park. "This is our children’s safety at hand; no one wants to lose their child to something so devastating. It’s not just children; you have mothers trying to cross with their babies in strollers, and you see all types of things," Flournoy said. Tuesday, the victim's family has an active GoFundMe page. 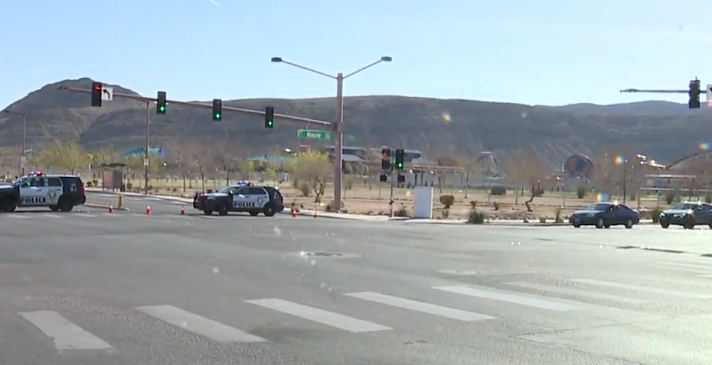 UPDATE 8:40 A.M. MARCH 26 : Authorities have identified 12-year-old Jonathan Smith as the youth who succumbed to his injuries at the hospital after being hit by a vehicle near Fort Apache Road and Maule Avenue on March 25. LAS VEGAS (KTNV) - Las Vegas police are investigating a deadly crash in the southwest part of town on Monday afternoon. 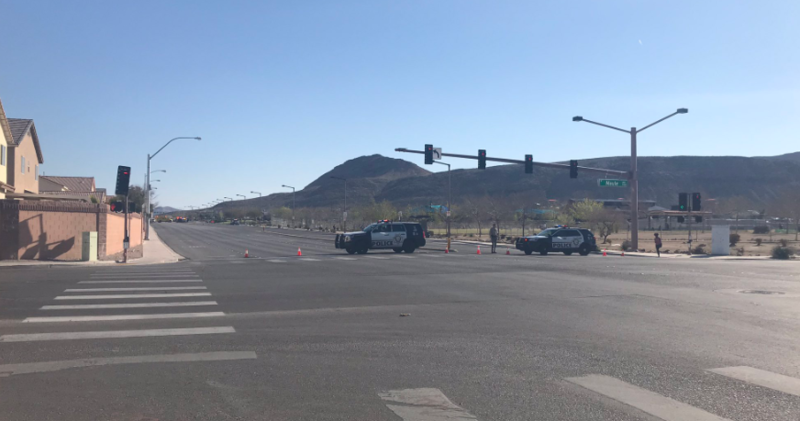 Officers said a vehicle hit two juveniles at the intersection of Fort Apache Road and Maule Avenue just after 3:30 p.m.
Three children were attempting to cross the street outside of a marked crosswalk, according to police, when a 2006 Chevrolet HHR struck two of them in the roadway. Two boys were transported to local hospitals. One boy, who was suffering from critical injuries, died at Southern hills Hospital. The other was listed as being stable at University Medical Center. The exact extent of his injuries are unknown at this time. Impairment was not a factor in the collision, and the 22-year-old driver of the car involved suffered minor injuries, according to authorities. Fort Apache Road was closed at the intersection for the on-scene investigation. The fatal crash was the 22nd traffic-related fatality investigated by the Las Vegas Metropolitan Police Department this year.